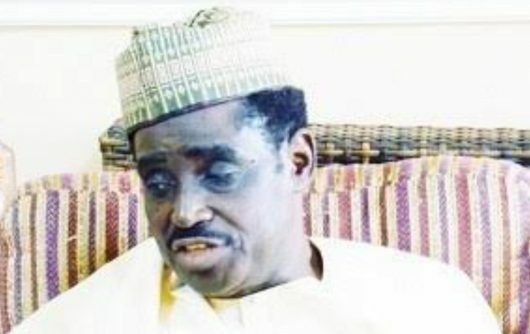 Former Chairman of the Nigeria Football Association Col. Abdulmumini Aminu (rtd. ), has stated in clear terms that the current Nigeria Football Federation is being run ‘illegally’ and that there’s need for an enabling law for effective football administration in the country. Aminu who has been saddled with the responsibility reconciling Nigeria Football Federation warring factions within two weeks as the head of Elder Stakeholders Reconciliation Committee appointed by the sports ministry, says that the leadership tussle between Amaju Pinnick and Chris Giwa has dragged for too long because of lack of laws for the federation. In an interview, Aminu calls on the National Assembly of Nigeria to urgently enact laws which would enhance the operations of the NFF. Members of the committee inaugurated by sports minister, Barrister Solomon Dalung on Monday include two former NFF bosses Alh. Ibrahim Galadima and Anthony Kojo Williams. Others are Prof. Onje GyeWado, Dr Sam Sam Jaja (Life Member, NFF Board) and Dr Bolaji Ojo Oba. A bill for an Act to repeal the Nigeria Football Association Law 2004 and Enact the NFF Act to provide for the administration of the game of Football in Nigeria and for other related matters is currently before the National Assembly.